When you become a parent, your priorities change. It’s no longer about looking after yourself, it’s about taking care of your little ones and doing what’s best for them. During pregnancy, I dreaded the thought of this, but the minute I held my gorgeous little baby in my arms, I knew I would give up the world for her. She gave me the desire to be utterly selfless. I wanted to put her first. My goals became entwined in her future and what I wanted her to have. The problem is, it has become such a way of life, that I don’t care for myself anymore. As a stay at home mum, my job is to take care of my family. No matter how tired I am, I have to get up when the baby cries. No matter how worn down I am, I have to flash that smile and play hide and seek. No matter how sick or full of cold I am, I have to make food for everyone. You see, my life evolves around them. What sort of mother would I be if I bought each of my children a little present, except one? If I turned to that little child and said, “I’ve already spent lots of money on everyone else so I didn’t get you anything” – what would you think of me? You would think me a monster. And yet that’s what I do to myself every. single. day. This isn’t selfless love anymore. This is self abuse. I deprive myself. I sacrifice my wants and needs so that they can have. Yes, that’s part of being a mummy, but somehow I’ve taken it to the extreme. It’s not a choice anymore – it’s a chain; a self-inflicted rule that I have to abide by. I can’t give myself permission to have a break. I don’t know how. I don’t know how to switch off. I don’t know how to relax without feeling guilty. There are so many other things I should be doing right now. This isn’t a priority. I’ll just have 5 minutes and then I’ll get on. Mums – it shouldn’t be like this. We DO matter. Our kids need us, but they need us to be rested and relaxed. We parent better when we’re happy and chilled out. We need to value ourselves because that is how our children will learn to value themselves. Yes it’s important to look after them. Yes they often need to be the priority. But that doesn’t mean that we shouldn’t feature in the priority list at all. We are still important. We are still deserving. We are still valuable and special. Mums (and dads) need looking after too. Becoming a parent doesn’t make us invincible. …And yet I can’t help fearing that this self-depreciating, negative thought pattern is too firmly ingrained in me. Will I ever find the balance between selfless love and self-abuse? Sadly this is a hard habit to break. Sending hugs and wishing you luck. 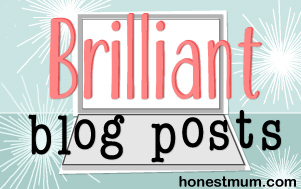 I left you a comment earlier so…#blogcrush! Very awakening post. I guess it’s something all we mums do/feel but refuse to acknowledge/ do anything about it. But you are so right – we need to care for ourselves too else we’re too drained to care for our family. 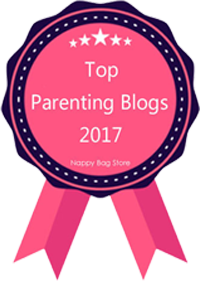 As a SAHM, I needed to find my individuality again – not as a mother but as a person – and blogging has helped me do that. Even though there’s other stuff to do and even though I could do with more sleep, I blog. Because it makes me happy. It gives me a sense of being me again (even though I blog about motherhood!). Fab post. I’m so glad that the post resonated with you, Charlene. As you say, it’s such an easy trap to fall into. But the more we talk about it and expose it for the unhelpful behaviour that it is, the easier it will be to climb out of that trap… I hope! Thank you, Mackenzie. Your compliments have put a big smile on your face. I’m sorry to hear that you are battling this issue too. Let’s hope that talking about it helps us to identify the problem and tackle it head-on! Thank you for the encouragement, Kelly. It’s good to know that it will get easier to have a moment’s peace once the kids are a bit bigger… But I suspect there are all kinds of other problems that appear once they’re older too! Eeek! such a thought provoking title. You are so right. With four small kids and a husband who can act like one I am constantly neglecting myself to the point of abuse! It is so, so, so hard to remind yourself that you are important. This post made me feel really sad both for you, myself and all other mums. I have tried so hard over the last 12 – 18 months to remind myself I matter. Yet I still spend most of the evening dashing around. Recently we’ve just had drama after illness after problem. I realised that a side-effect for me was such tense shoulders that I was getting pains in my arm and my hand. So I took a long, hot bath. Then the other day during my lunch break working at home I went for a massage. I’ve felt so much better since. But it’s been such a reality check. Perhaps take a set evening a week as ‘your time’? Oh I’m sorry to hear that your family has been going through such a rough time of it. Like you, I can definitely tell when things are getting on top of me because I tense my shoulders and my back. A long, hot soak in the bath is one of my favourite ways to unwind. Aaah bliss! Yes! I hope you’ve been able to put your foot down more with this. It’s such a shame that mummy time gets pushed to one side, but there always seem to be “bigger” priorities. Let’s stop that and make ourselves a priority when we need it! Yes you’re so right – it’s so easy to tell friends (and write blog posts!) about taking a break and looking after yourself. But putting it into practise is soooo much harder! You’re so right Lucy. I think many of us feel exactly the same, unable to switch off! This definitely needs to change. One thing I think is that we need to encourage each other to take a break. Not to act surprised when someone says they took some time off to relax and go for a massage, or learn a new language, or organise a girls day out. Some of us mums have sunk too far into unintentionally peer pressuring each other into spending all our time appearing to be perfect, self-sacrificing domestic goddesses with all our ducks in a row! This isn’t sustainable, as nobody has that perfect life and in the end we would all be better off just being ourselves and admitting that we have needs. As you say we all have a child within! I have fallen into this trap too, now I’ve become a full time stay at home mum (and carer) – very late, when my youngest was 12. But now I no longer work outside the home, I can’t seem to find the ‘off’ switch or be able to justify spending time or money just on myself. Hope you manage it though! Oh yes the aeroplane mask is a good comparison. Thanks for leaving this link too – I’ll check it out! Oh my goodness, Mummys do matter. In fact we should be number one. If we don’t look after ourselves then there will be no one to look after our children. In many ways it is easier for me as a single mum (there are not many times you’ll read that sentence!). Every weekend I get one day to myself when Cygnet is with his Dad. I get my nails done, read my book and drink coffee and eat cake in a coffee shop. As it is my only free time without Cygnet, I have designated it as my time and I have come to think it is really important. I love the way you explain this. It must be so hard to maintain that level of activity and not have any rest or relaxation. It doesn’t show the little ones a balanced life either. I hope that we can find the right balance because I know I’ll be riding that slippery slope with you. But I also can’t afford to do this as I know it leads to a dark place. Fingers crossed and I must remember to speak out about my feelings if I start sliding. Thank you for this beautifully written blog post. I couldn’t of read this post on a more appropriate day! Today I got my eyebrows threaded for the first time in 6 years…. 6 YEARS! I can’t bring myself to spend any money on me, when the littles could use some more this or that. Doesn’t matter my leggings have holes and I’m wearing my partners t-shirts as pjs as I’ve put weight on. Purely through neglecting myself. I eat once a day, when the kids are in bed. Sometimes I can’t fully relax until 9-10pm. But then I’m pausing Hollyoaks (the only show I give myself time for) every 2 mins incase I miss them calling out. I rush my food to try and fit in as many other things that I’d rather do while they’re asleep. Sleep, what’s that? I’m up until 3-5am getting things done I couldn’t do in the day, feeling accomplished but then when my eldest comes in my room at 6am I’m shattered from the 2hrs sleep I allow myself at night. Because other things take priority over me. Its a vicious cycle and I need off before I self destruct. Believe it or not before mummyhood, I was the girl that did 5 skincare product regimes first thing in the morning, faffed about with tooth whitening products, did my make up and straightened my hair every. Single. Day. I’m a shadow of my former self. And I hate it. But I love motherhood. It’s so hard to admit you badly want time to get back to yourself. I love this post. You are so, so right. I feel enormously guilty when I sit and do nothing. I feel guilty leaving things for my husband to do, I can’t sit still and always on high alert. I know this is part of motherhood but I never realised how much of yourself you sacrifice. 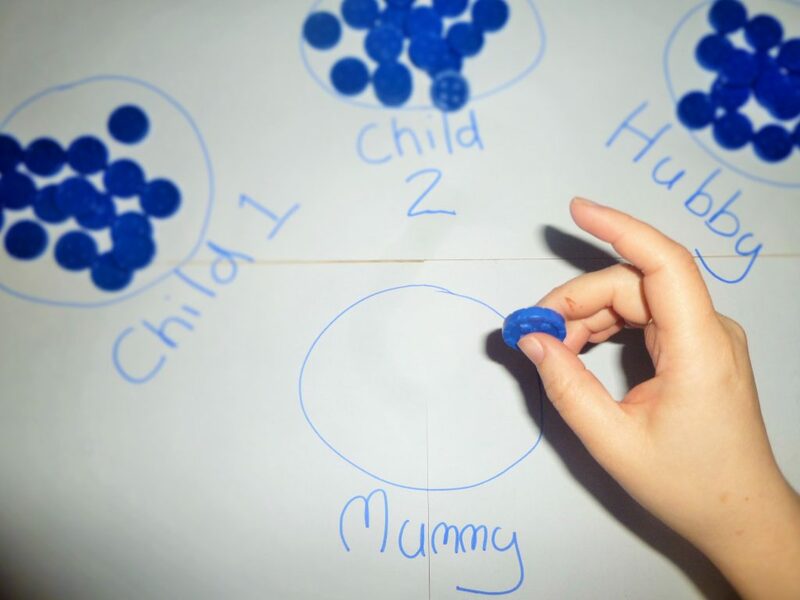 What I find hard is being a full time mum, trying to earn a full time wage, while also doing all the cooking, cleaning, food shopping, planning. Then I feel guilty for going and getting a haircut so I’ve cancelled the last three appiontments! Your line about teaching your children to value themselves is so true and important! Many of us experience these feelings throughout our lives. And not just as mothers! As daughters, too – once our parents begin to age, we find ourselves in the same behavior pattern, times too. It can become insurmountable. I think what you mentioned about treating yourself fairly (like another child) is so important. Also , we always want to be setting a good example for our children by showing them self-care is important, and that we are all worthy of it. Lucy, how did I miss this amazing post before?! 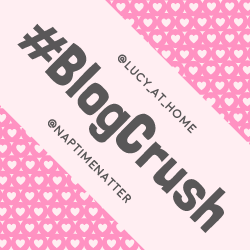 Thank you so much for #BlogCrush. I know it’s been a lot of work, but it has been greatly appreciated by so many. I feel into the same situation after having my kids. I cared more about them and less about me. I was letting myself go until a coworker told me that I should always have some time for myself. I had 2 items of makeup in my bag: concealer and a single eyeshadow. I missed wearing makeup so I made it my “self care” want and slowest bought myself things. Now I have a nice little collection and sometimes I let the girls put on my lipstick to play dress up at home. A difficult read, I’ve just closed my eyes for 10mins whilst waiting for the shopping to arrive … and felt guilty, last week there were two medical emergencies with my daughter, 1 psychology appt and my ASD son was intense to say the least…I went out for coffee with a friend…and felt guilty. This weekend I was supposed to be going to Glasgow for the Allergy Free From Show, I’d be leaving my daughter and son in the hands of my husband for some time out, a chance to network in my niche and socialise. I cancelled my hotel and flights…because I felt guilty.